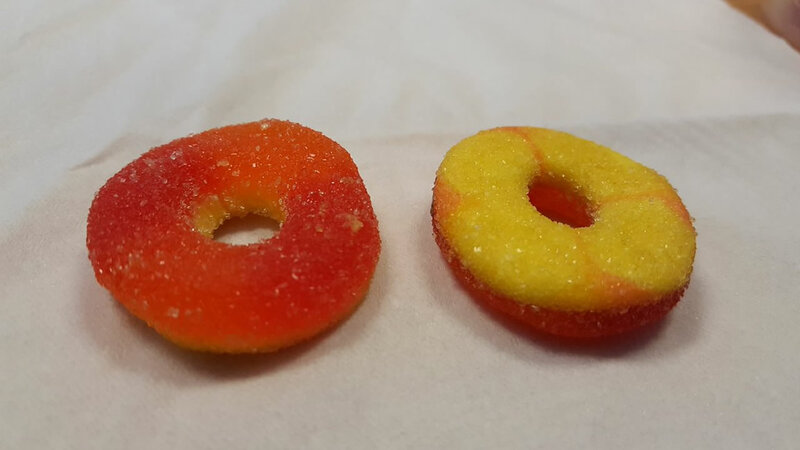 SAN FRANCISCO, CA -- Health officials say marijuana-laced gummy ring candies sent 19 people to the hospital Saturday night who had been celebrating at a Quinceanera in San Francisco. At this point, health officials do not know where the candy came from. The family used a catering company in the East Bay. Alameda County health officials confirm no evidence of cannabis was there during an inspection on Monday. The youngest patient who experienced symptoms was just 6 years old. "Rapid heart rate, high blood pressure, dilated pupils, dizziness, light headedness, nausea, lethargy and confusion," San Francisco Department of Public Health's Tomas Aragon said. Health officials say the candies tested positive for THC, the main psychoactive ingredient in marijuana. "These are innocent kids. They don't know, they see a candy, they eat it," Women's Building security guard Raul Hernandez said. Of the 19 patients treated, blood tests from 12 came back positive for THC. "It's different than when you smoke marijuana. The onset can be slower, the duration can be longer," California Poison Control's Dr. Craig Smollin said. The Quinceanera was at the Women's Building in the Mission District. "The only thing we include with our rental is space and tables and chairs," Women's Building booking coordinator Olivia Herrera said. The family used an East Bay caterer. "We want to make sure from this perspective this wasn't an intentional act by the caterer or anyone who attended the party," SFPD Ofc. Grace Gatpandan said. SFPD is not releasing the caterer's name. The Alameda County Health Department tells ABC7 News Alameda County Environmental Health determined where the food was prepared. Writing in an emailed statement, they said, "There is no way to determine if cannabis was used at all on the premises as no evidence was found during EH's inspection today. Issues related to where the candy came from, who purchased it, and who provided it among the edibles are a part of that investigation." "As edible marijuana becomes more available, it's very important we control how these edible products are available to the public," Smollin said.